Are you also looking for someone to fix your gate? Our company also offers various services for all your gate needs. “Garage Door Repair San Diego” is your full service local gate contractor. We are here to provide any kind of assistance you need for your gate and its accessories. We supply and install gate openers, entry systems, intercoms and gate parts. We make sure to cater to the needs of both residential and commercial customers. We are also available 24/7. Custom-made gates are also our expertise. 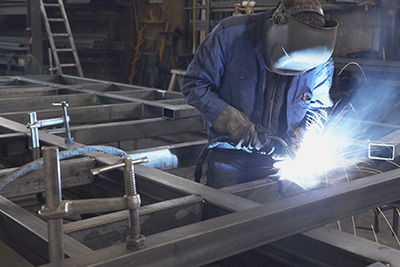 If you have any concerns about gate and gate parts repair, we are confident that we can handle them efficiently because of the kind of training we got. Our core focus is making sure that we are ready if customers call us to ask help for their damaged gates. Whether it is broken hinges, faulty motors, damaged wheels and tracks, we have competent technicians to deploy. Once they arrive in your home or establishment, they are already equipped with the tools needed to perform necessary repair. We strive hard to provide fast and efficient service, because we know that you cannot stand having a broken gate for a long time, or put your business operations on hold. We are confident that our skills can match your needs. We know that intercom systems are important for your convenience, and we are here for you to enjoy what this device offers. We not just supply the best quality intercom system for customers, we also troubleshoot it for them. We look where the problem is coming from and recommend the best solution. We also install the right intercom system for your needs and budget. We deal with different brands so you can enjoy a variety of options. We proudly inform you that we are equipped with the latest in access control systems. We can install and troubleshoot them. These devices are responsible for operating your electric gate. We know the perfect type of system that your gate needs, and this will depend upon how frequent you use your gate and your security needs. Call us if you are having trouble with your key pads, battery back-up systems, radio remotes, timers, and other gate opener accessories. We are masters in gate installation. We know that you gate serves two main purposes. The first is providing security, and the welcoming visitors in style at the same time. With us, you have an easy access to numerous types of gates. Whether you fancy classic looking wooden gates, durable wrought iron gates of swinging, sliding or rollup type, we are here for you. This is only an overview of the services we offer. If you have anything else in mind that you think we can help you with, please feel free to contact us and our expert technician can evaluate your problem and see what he can do. What we can assure you is that we put a high regard to professionalism, always providing prompt and efficient service matched with friendly attitude. Our goal is for you to enjoy a delightful working experience with our company.